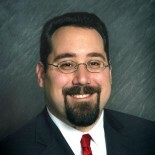 Ari Sauer has been specializing in immigration law for more than a decade. Ari represents corporate and individual clients in obtaining visas, permanent residence and citizenship. Ari also represents clients before the US Immigration Court in Memphis, Tennessee. Mr. Sauer is the Chapter Chair of the American Immigration Lawyers Association (AILA) Mid South Chapter, which includes the states of Tennessee, Mississippi, Arkansas, Kentucky, and Louisiana. He has served as a member of AILA’s national Board of Governors since 2011. He regularly speaks about immigration law for AILA and the Federal Bar Association and has contributed a number of articles on immigration publications. Education: Ari received his Juris Doctorate degree from the Benjamin N. Cardozo School of Law, Yeshiva University, in New York in 2001. He earned a bachelors degree in Business Management from Yeshiva University’s Sy Syms School of Business in 1999. Ari is licensed to practice law through the states of Tennessee, New York and New Jersey, but is able to represent clients in all 50 states, and throughout the world, with their immigration law matters. Ari is also licensed in the U.S. District Court for the District of New Jersey, the U.S. District Court for the Western District of Tennessee, and the U.S. Court of Appeals for the Sixth Circuit. * This is an advertisement. Ari Sauer is an attorney with the Siskind Susser law firm. www.visalaw.com/ari.html. We cannot assume any liability related to reliance on anything in this website. Information provided here is not intended to establish an attorney-client relationship. Readers are cautioned to schedule a consultation with an immigration lawyer before acting on anything stated in this website. The information presented here is not intended to substitute for a consultation with a qualified immigration law attorney. Ari Sauer is licensed to practice law through the states of Tennessee, New York and New Jersey but is eligible to assist clients from throughout the US. Certification as an Immigration Specialist is not currently available in Tennessee, New York or New Jersey. The Siskind Susser law firm limits its practice strictly to immigration law, a Federal practice area, and we do not claim expertise in the laws of states other than where our attorneys are licensed. the opinions expressed on this site are those of Ari Sauer and do not necessarily reflect the opinions of the Siskind Susser law firm or its owners or employees. I was a conditional resident who just got conditions on a green card removed this September. I had my biometrics in August 2017. I have received a 10 year green card on which in the white square in the right bottom corner it says “Fingerprint not available” instead of actually having a picture of my fingerprint there. What is the possible cause of that? Is that a problem? Is it going to affect my international travels (specifically being admitted back in the US) in any way? Do I have to file I90 to get a card re-issued? Steve, I don’t know. I have not seen this before and so haven’t had to research this particular issue. My husband is a green card holder. he has applied for the F2A in February 2014 to petition me as the spouse, how long will be the waiting time? can i also apply for student visa when i have applied for F2A visa? I cannot tell you how long it will take for a visa to be available for your petition. No one can. Not even the people at the Department of State who make the Visa Bulletin. Here is a blog post of mine explaining why that it. Having an F2A petition is not an automatic bar to being able to get a student visa. But it is a factor that the consulate can take into consideration, along with the fact that your husband is a US permanent resident, when determining whether you have strong ties to your home country and therefore do not have an intent to stay in the US an immigrate. I can’t say whether you would be eligible without having a consultation with you and finding out a lot more information about you. But someone who has an unexecuted order of deportation is not eligible to apply for the provisional waiver. They would first need to have the order reopened and would need to have the court proceedings administratively closed or terminated before they could file for the provisional waiver. You are right. Immigration is a very large topic to delve into. Choose one aspect of it, pephras something that is in the news everyday. How about writing about immigrants coming here and doing the dirty jobs that Americans shun? Think about it. Most people (Americans) would never consider doing gardening, house cleaning, fruit picking or anything else of this nature. The jobs that I have mentioned are low-paying, usually dirty, back-breaking jobs. Immigrants, legal or illegal will work for little, with no job security or benefits, just to feed their families. Sad, isn’t it?